2014 Toyota Tacoma Base V6 Black Rear Back Up Camera, USB/AUX, ONE OWNER, CLEAN CAR FAX NO ACCIDENTS, BERTERA NISSAN TRADE IN, SERVICE RECORDS AVAILABLE, ALL WHEEL DRIVE, Chrome Grille Surround & Rear Bumper, Color-Keyed Front Bumper & Overfenders, Cruise Control, Driver Lumbar Support, Dual Sunvisors w/Mirrors & Extenders, Fabric Seat Trim (FQ), Front Fog Lamps, Leather-Wrapped Steering Wheel & Shift Knob, Metallic Tone Instrument Panel Trim, Privacy Glass, Remote Keyless Entry System, Sliding Rear Window, SR5 Badging, SR5 Package, Steering Wheel Audio Controls, Tailgate-Handle Integrated Backup Camera, Variable Speed Wipers. Odometer is 7782 miles below market average! * ALG Residual Value Awards * 2014 KBB.com Best Resale Value Awards FOR MORE INFORMATION PLEASE CONTACT OUR INTERNET DEPT 1-844-323-7332. 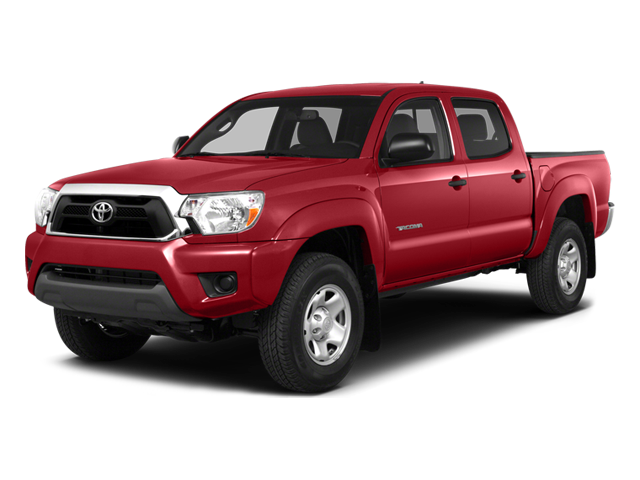 Hello, I would like more information about the 2014 Toyota Tacoma, stock# 18434A. Hello, I would like to see more pictures of the 2014 Toyota Tacoma, stock# 18434A.